Tune to the Moon with Spirit de la Lune! 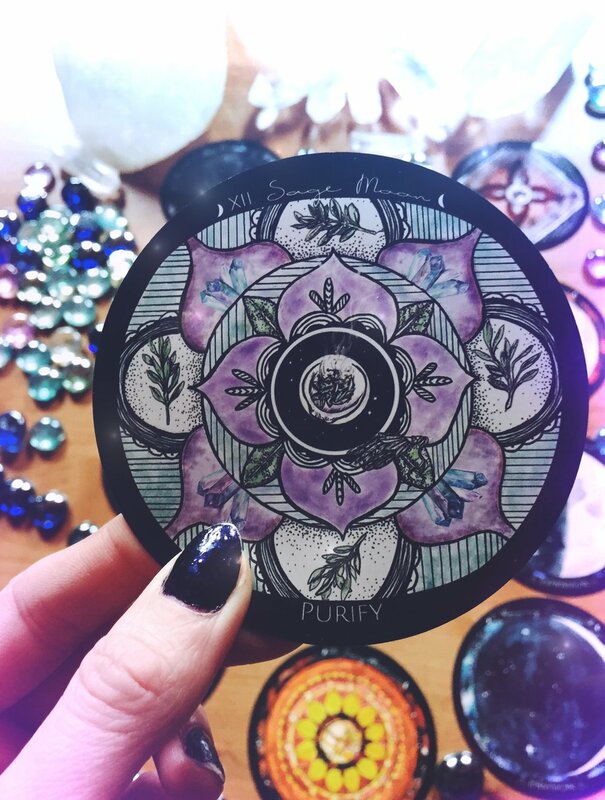 This oracle set allows you to tap in to your personal cycles and rhythms on any given day using Lady Luna as your guide! The Spirit de la Lune Deck Set includes the deck, guidebook and a keepsake box all featuring silver stamping . The deck contains 56 cards of Lunar guidance including Full Moondalas, Zodiac Moondalas, and Moon phase cards to help you connect with the energies of the Luna. The guidebook is 200 pages full of Lunar Wisdom, including a full page summary of each card, as well as unique spreads just for this deck! The cards and the guidebook fit nicely inside a beautifully crafted keepsake box. Our current shipping time is 5-7 business days! weeks. Our newsletter will be the first to know when the decks are in stock again. PLUS you can download our free mini moon oracle! Our current shipping and processing time is 5-7 business days. Your confirmation email and tracking number will be sent to your paypal email address. Please check your spam folder if you do not see it. International orders: It may take 2-4 weeks to receive an international order. We provide tracking, but are no longer able to track after it leaves the US. We are not responsible for any custom fees. Thank you for your understanding and patience, we do our best to keep shipping cost at a minimum! Subscribe to our newsletter for New Moon Energy Readings, Full Moon Ceremonies, and News and Updates about the deck!